guess who is as happy as a clam? ... this girl right here! you ever have those moments where everything just falls right into place? ahh such a good feeling. i hope everyone had a great holiday season with family and friends, i know i did. and i can't wait to share some of my fabulous christmas gifts on the blog! if you follow me on instagram you've probably seen a few. 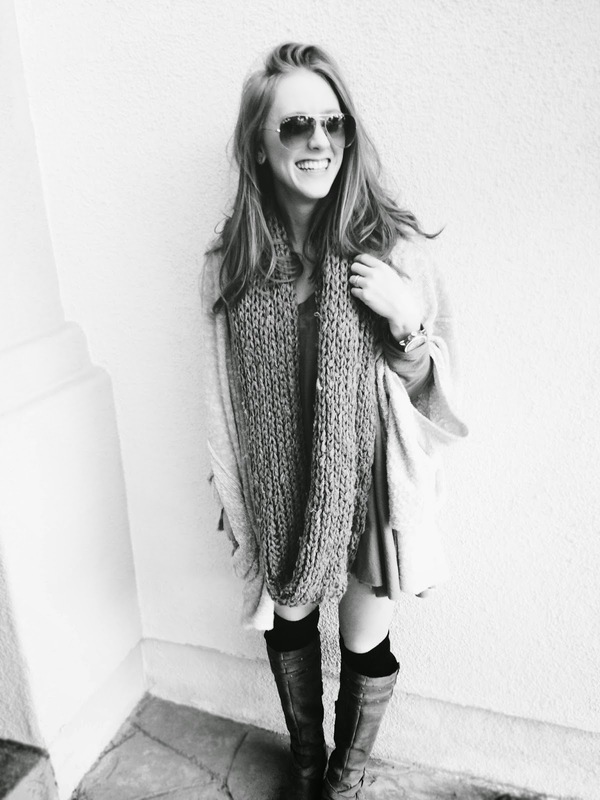 congrats to Erin Guy, the winner of my darling scarf giveaway with Subtle Luxury! you look adorable! i love the scarf! 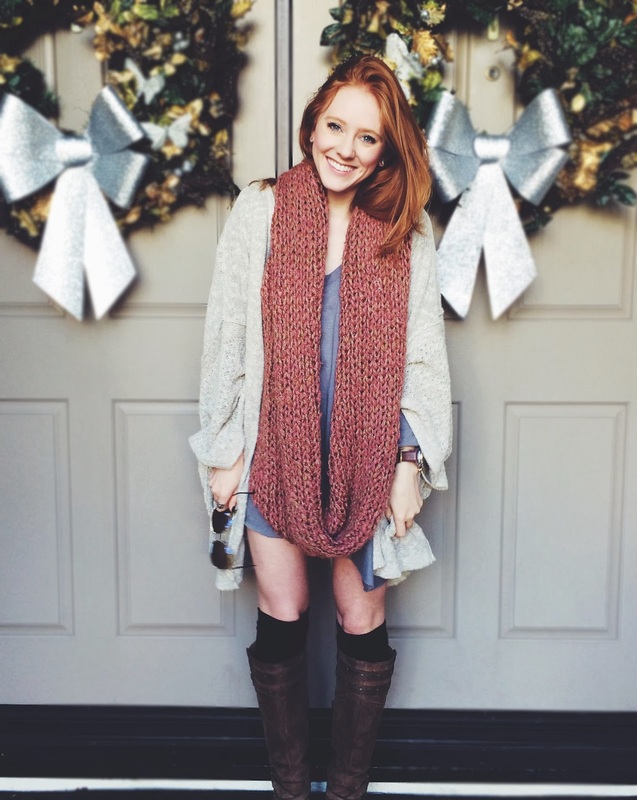 can't get over how totally fab and cozy chic this look is!!! That infinity knit scarf is killer!